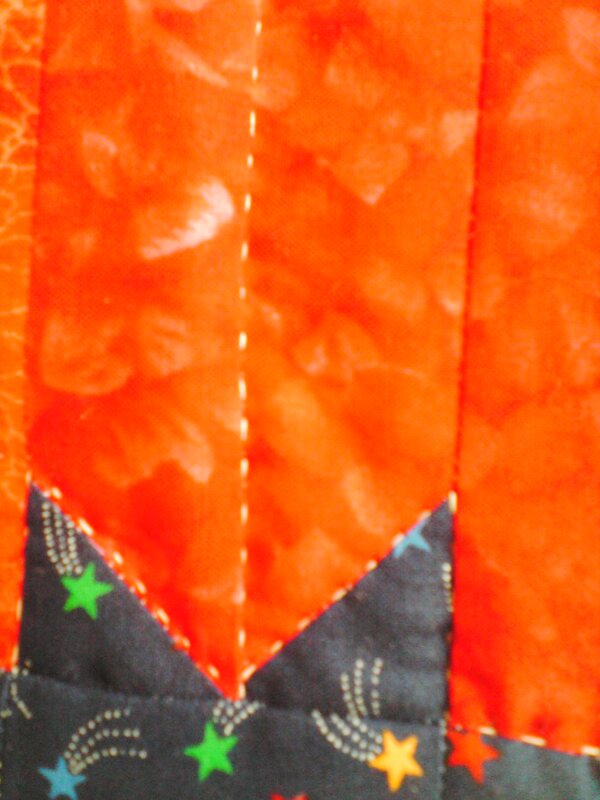 It looks like you are toward the edge of the quilt, so not much left to quilt. I can’t wait to see it finished! 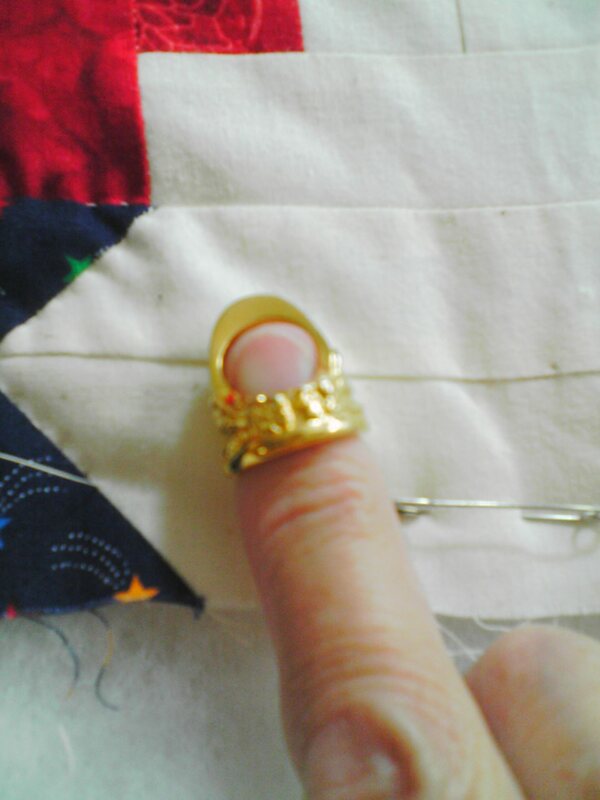 I have a very nice Roxanne thimble too, but could never get use to it. My fingers are very narrow and even the smallest one will not stay on tight. 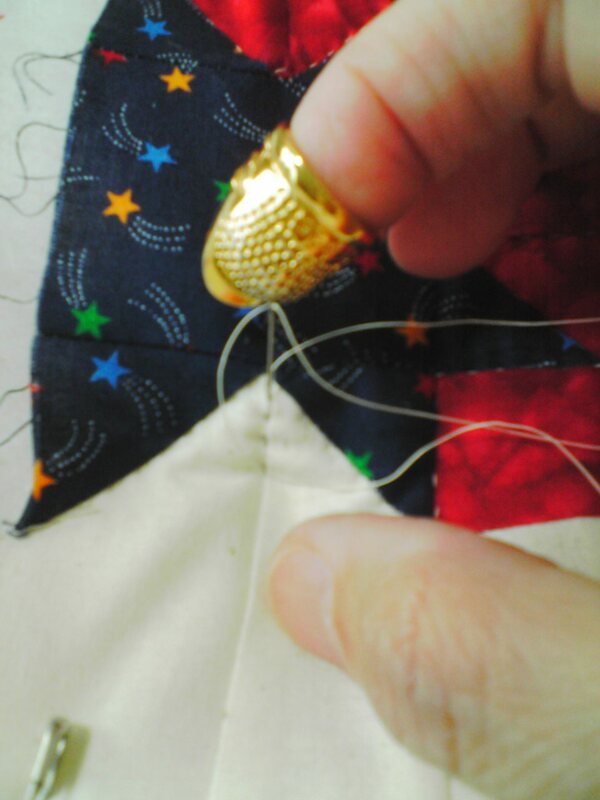 I end up using those really cheap clover thimbles. I still keep my Roxanne in a place of honor though…just in case someday I could use it! Bren, you must have very tiny fingers —“the better to quilt with, my dear”. I am jealous. I have very long fingers, not tiny,but not big either. I have 2 friends with tiny fingers and hands, they can make the smallest most beautiful handquilted stitches you have ever seen. BTW thanks for the link to Holy Experience—I enjoyed the post very much. So true….guide gently.